LOS ANGELES, CA -- The UFC has been sold for approximately $4 billion to a group led by Hollywood talent agency WME-IMG. UFC President Dana White confirmed the sale of the mixed martial arts promotional company in text messages to The Associated Press on Sunday night. WME co-CEO Ari Emanuel also announced the sale early Monday in an internal company email that included SNTV - a joint venture between The Associated Press and IMG. "We've been honored to have UFC and a number of its athletes as clients and couldn't be happier to take our relationship to this next level as the organization's owner and operating partner," Emanuel said. White will stay on to run the UFC, which has grown from a money-losing promotion in a minor sport into a global entertainment brand. UFC owners Lorenzo and Frank Fertitta have tapped out of the company after nearly 16 years, although they'll retain a minority interest. The Abu Dhabi government still owns 10 percent of the UFC as well. The New York Times first reported the completion of the long-rumored deal. It has financial backing from private equity firms Silver Lake Partners, which owns WME-IMG, and Kohlberg Kravis Roberts, along with the investment firm of billionaire Michael Dell, founder of Dell Computers. "UFC has experienced tremendous growth over the last decade and we are looking forward to helping the organization and its athletes identify new opportunities to develop and further establish their global footprint," Emanuel said. The UFC was founded in 1993 as the Ultimate Fighting Championship, staging violent fights that were banned or unregulated in many areas. The Fertitta brothers and White, their high school friend, purchased the promotion for $2 million in 2001. With White as the promotional face and Lorenzo Fertitta as its chairman, the Las Vegas-based UFC was kept afloat by the Fertittas' casino fortune while the sport once labeled by John McCain as "human cockfighting" gradually gained widespread acceptance and popularity. The UFC used cable television and the internet to get its intriguing product in front of young fans, and they also sought legitimacy by welcoming regulation by athletic commissions. New York finally lifted its ban on MMA earlier this year, putting the sport in all 50 states. After helping Chuck Liddell, Randy Couture and Tito Ortiz become stars who straddled the line between sports and entertainment, the promotion now boasts a stable of elite athletes with mainstream fame, including Conor McGregor, Brock Lesnar and Ronda Rousey, who is represented by WME. Although the UFC has received occasional criticism from fighters for its pay scale, its ability to control talent costs is a major factor in its profitability. Its position atop MMA also allows it to match the sport's top fighters against each other consistently, setting it apart from the hopelessly fractured world of boxing. The UFC's price tag has drawn gasps since it was first rumored earlier this year, but the consortium is getting a sports property with a unique niche and ample growth potential. WME purchased IMG, the sports and event management group, in 2013, and the talent agency has evolved into a multifaceted entertainment company. The organization already made moves into niche sports properties last year by buying Professional Bull Riders and forming an e-sports gaming league with Turner Broadcasting. With more than 500 athletes under contract, the UFC stages roughly 40 events per year and is broadcast in more than 150 countries, reaching 1.1 billion television households. The promotion has built a large roster of endorsement deals and sponsorships, and its subsidiary ventures include everything from a digital streaming service to more than 100 branded fitness centers. The UFC also recently began construction in Las Vegas on a 180,000-square-foot, campus-style corporate headquarters that also will house training and rehabilitation facilities for its fighters. The UFC appears regularly on Fox under its seven-year broadcast deal, which ends in 2018. The next contract is expected to be extraordinarily lucrative. 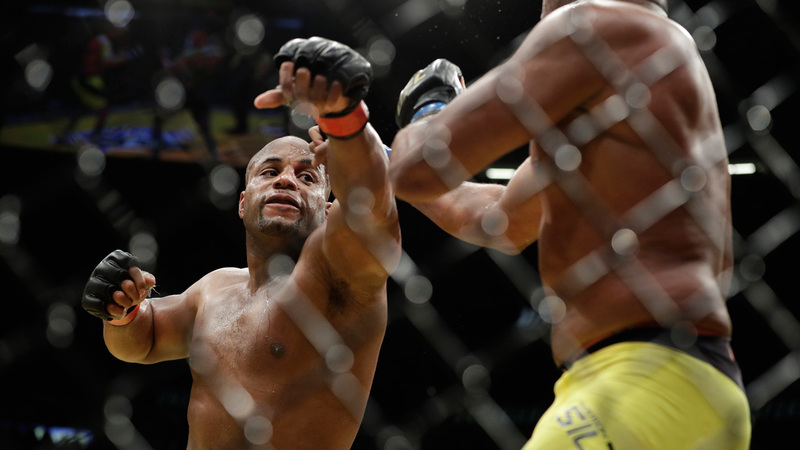 On Saturday night, the promotion staged the landmark UFC 200 show in its hometown. The event drew 18,202 fans to T-Mobile Arena and took in $10.8 million in ticket sales, both Nevada records for the company.